Wire Radio has a number of different advertising options and will tailor a package to suit your exact needs and budget requirements. We know that online radio has become one of the fastest growing advertising mediums – more and more people are listening to radio online. With hundreds of thousands of listeners every month, it’s definitive proof that advertising on Wire Radio really will benefit your business, by creating brand awareness and sales leads. Your prospective customers may throw your marketing material in the bin, turn the page on your newspaper adverts, and forget to return your sales calls, but you can get the message across with Wire Radio. We’re already there, in their homes, in their offices and workplaces, and even on playing their mobile phones via smartphone apps! Wire Radio currently boasts a healthy number of on-line listeners who tune into the station each week – including followers on the TuneIn mobile phone app for our stations, o fans on the Facebook page and a loyal audience from the UK. Wire radio target audience of 15-35 year olds are big fans of Hit music, they are media savvy and are on trend. Wire gives them social needs which they use to fit in with their friends. They live on their mobile phone and life is just a text, tweet or status update away. Wire's audience love brands which they trust. This is your opportunity for you to advertise your business on The Wire Radio. We are an Internet based Radio station operating out of the Greenway Centre in Southmead, Bristol, where we have been here running two unique radio stations for the past 5 years. 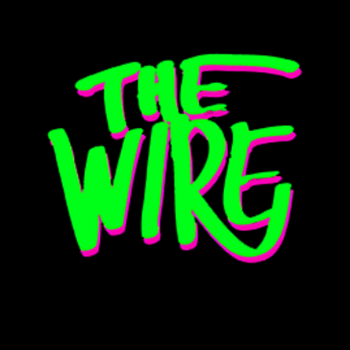 The Wire predominantly plays the latest chart hits and we also have specialist music shows. The station can be listened to online, on Sky and Now TV, and through our IOS and Android mobile apps. Whilst we have listeners from across the globe, we are very community focused, having broadcasted from local establishments across Bristol and having put on Music Festivals for the local community. As a station we receive on average 30,000 unique listeners to our sites every month, which makes us a great local platform to advertise your business through. We are able to offer a very affordable package which will expand the reach of your business across the city and beyond. We offer either a 6 or 12 month advertising deal, at £100 a month. We further offer sponsorship packages including: show sponsorship; Weather sponsorship; News sponsorship. To put this in comparison, other larger Radio stations charge, on average, 4 to 5 thousand pounds a month for their advertisements. We have a broad reach and the local focus of our station makes our offer both competitive and affordable to these larger outfits. Please don’t hesitate to get in contact with our Sales team to discuss how we can tailor a package to your requirements, or of course if you would simply like any further information about what we can offer.